Alexandria, VA - The ever popular Alexandria Restaurant Week is back, January 21 - 30, 2011. More than 60 restaurants throughout the city will feature a $35 prix-fixe three-course dinner or $35 dinner for two. Fine dining establishments and casual neighborhood favorites are offering special menus to tempt the palate and please the pocketbook with offers available exclusively during this twice-a-year event. Restaurant Week menus and online reservations are available now on VisitAlexandriaVA.com. During this winter event diners can indulge in some of the latest food trends. Fresh, locally sourced ingredients are central to the menus of Bastille in Old Town and Food Matters in the Cameron Station neighborhood. The handcrafted, artisanal experience of Cheesetique in Del Ray and Grape + Bean in Old Town keeps regulars coming back for more. Alexandria&apos;s new gourmet pizza scene is piping hot during Restaurant Week with menus from Pizzeria Paradiso, RedRocks Pizza Napoletana, Pizzeria Venti, and Pizzaiolo Cafe & Bar. Unique menus and offers include Pizzeria Paradiso&apos;s special winter-inspired pizza with roasted duck and aged Dutch Gouda paired with two hand-selected seasonal draft beers. Tempo is offering a bottle of house wine for only $10 with the purchase of two meals from the Restaurant Week menu. Geranio&apos;s menu includes four courses for $35, while La Tasca&apos;s $35 per person deal includes unlimited tapas and choice of one dessert per guest. A $35 Old Town food tour is offered by the Alexandria-based DC Metro Food Tours, which includes a three-course progressive meal at two favorite restaurants and a fully guided historic walking tour of Old Town. Food lovers can feast their eyes on the full list of participants at VisitAlexandriaVA.com. The list includes OpenTable Diner&apos;s Choice Winners La Bergerie, A la Lucia, Delia&apos;s Mediterranean Grill & Brick Oven Pizza, Warehouse Bar & Grill, and The Wharf, while Hank&apos;s Oyster Bar, Columbia Firehouse, and Sam Phao Thai enjoy popular ratings on Yelp.com. This 10-day event enables residents and visitors to experience the diversity of restaurant choices in Alexandria and taste the culinary inventiveness of local chefs. Alexandria Restaurant Week was launched in 2009 and has been a hit with patrons and restaurateurs ever since. The Alexandria Convention & Visitors Association coordinates and markets the event, which is free for participating restaurants. 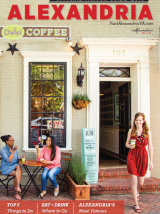 In addition to serving as an economic driver for Alexandria restaurants, Alexandria Restaurant Week builds the Alexandria brand as it helps the city to become known as a culinary destination. Charming Alexandria, Virginia, is a gateway city to both the nation&apos;s capital and to George Washington&apos;s Mount Vernon estate. Located along the picturesque Potomac River, within eyesight of Washington, DC (just five miles away), Alexandria offers a variety of critically acclaimed restaurants; a boutique district featuring designer clothes, shoes, antiques and home decor; a thriving art scene; a variety of hotels; and hundreds of years of American history among 18th and 19th century architecture.